Posted October 12, 2017 by Staff Writer & filed under Arts & Entertainment, Books & Talks. 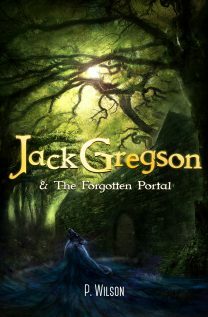 The first book in a planned series, Jack Gregson & The Forgotten Portal is an enchanting and fast-paced children’s novel that will grab your imagination and leave you wanting the next instalment immediately. The series starts in the stately Gregson Manor, owned for hundreds of years by the Gregson family. The family has a magical history, but how much is fact and how much is fiction? When an evil force takes over part of the Manor gardens, it’s up to our hero to find out what’s going on, and save their world from the evil Theorden. The fantasy worlds that open up in this novel are beautifully woven, and there is lots of scope for the series to develop. The book recently won a Bronze Medal in the Pre-Teen Fiction – Mystery genre of the 2017 Moonbeam Children’s Book Awards. Definitely an author and a new series to watch.